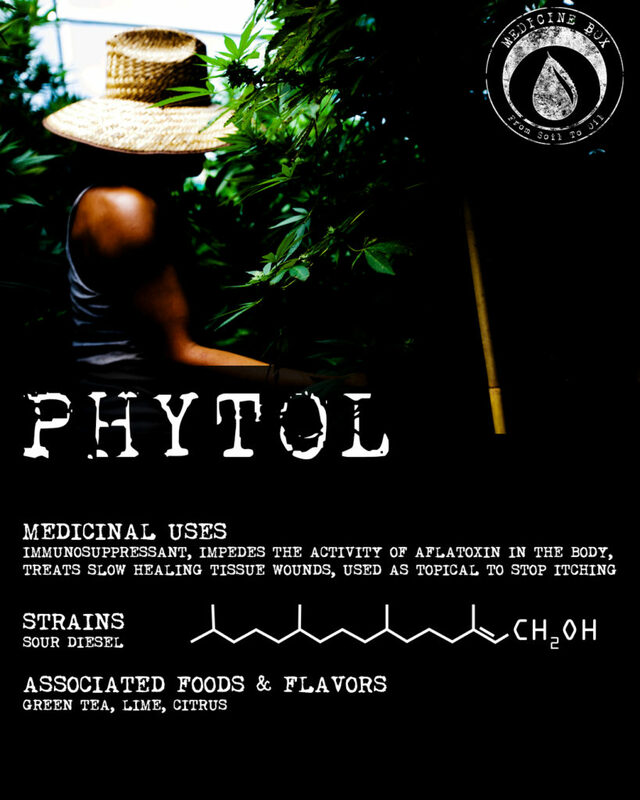 Phytol is our focus for this week’s Terpene Tuesday. It’s the by-product of chlorophyll breaking down and a precursor to both vitamin E and vitamin K — if you take a multivitamin, this terpene probably contributed some of the vitamins. While many terpenes are used to protect plants from insect predators, phytol is used by insects to protect themselves from their own predators! We actually use it in our greenhouses as an organic miticide, pesticide, and fungicide. It fights the unwanted creepy-crawlies while preserving the beneficial insects and maintaining the healthy bacteria in our soil.1One of the many reasons we love Vital Garden Supply: pun-based naming conventions for their products. Seriously. Phytol has a huge variety of therapeutic uses, but it can cause problems for people with Refsum disease. Fortunately, that disease is quite rare; most people can safely consume this terpene without any negative effects. In fact, given the popularity of tea, most people actually enjoy this terpene on a daily basis! Works as an anti-inflammatory in mice. Reduces pain without impairing motor skills. Has a sedative effect that seems to reduce anxiety. May prevent birth defects caused by vitamin A. Preliminary studies show that it causes cell-death for certain types of cancer. An effective anticonvulsant and potential seizure treatment. While many of these studies are exciting, it’s important to remember that research into terpenes tends to be in the preliminary stages. While there’s tremendous potential, we’re often stuck waiting for science to catch up and show us how to make the most of these tools. The best way to be sure a strain has the terpenes you’re looking for is to look for test results. There’s a reason Americans consume almost 4 billion gallons of tea each year. 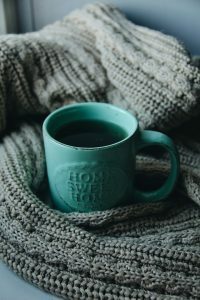 While the soothing, restorative properties of tea probably can’t be entirely attributed to phytol, there is some evidence that it does promote relaxation and alleviate anxiety. Have you joined us for Terpene Tuesdays on Instagram?